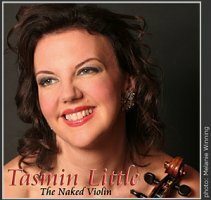 Excitement, drama and humour often associated with the music of Patterson is much in evidence in this virtuoso showpiece for solo violin. Inspired by Polish folk music it consists of an original theme and seven variations. The theme itself is borrowed from Patterson’s own Sinfonia for Strings written for the Polish Chamber Orchestra in 1981. Popular in style the work opens and ends with an exuberant flourish, gypsy like in its raw use of open strings and exciting dance cross rhythms. A series of short variations follow exploiting many techniques including the exotic pyrotechnics associated with Paganini’s violin writing. There are calmer moments too in the central variations where the high and low registers are explored using complex double stopping and harmonics . The variations are group in such a way that the overall shape resembles a mini symphony: Fast, slow, scherzo, fast. The works’ unusual title stems from Patterson’s long and fruitful friendship with Polish composer Krzysztof Penderecki. Luslawice is a small village in Southern Poland near to Krakaw where Penderecki has his country residence. It is here that Penderecki’s has his own festival of contemporary chamber music and it was in 1984 that Penderecki commissioned him to write this work for the distinguished Polish violinist Konstanty Kulka.The Luslawice Variations is often used as the test piece for violin competitions and examinations and has now found its way into the repertoire of many leading violinist both here and abroad.